Draw the time to the hour on each of these clock faces. Try to draw those lines as straight as you can, and don’t forget the arrow on the end. 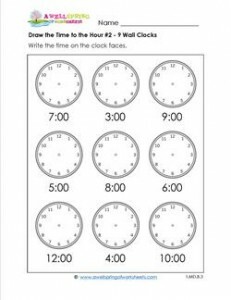 Please go to this page to see all the draw the time to the hour worksheets in this set.